The arrival of the Spaniards in the coastal and central regions of Mexico dramatically altered the course of Mesoamerican history in the direction of sustained ethno-environmental conflict. In the sixteenth century, mercantilism fueled European exploration and imperialism, empowering the ambitious conquistador Hernán Cortés to push the Spanish presence into the Valley of Mexico in search of gold. 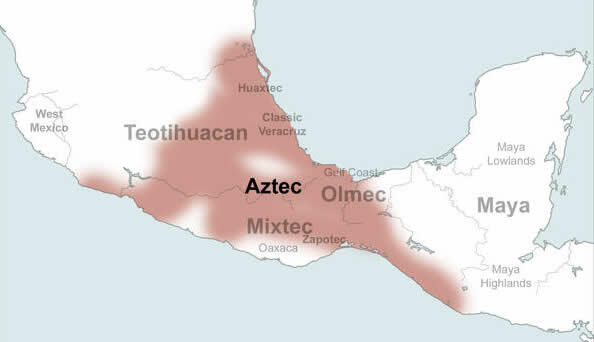 This action resulted in a momentous and violent east-meets-west clash of civilizations between the Spaniards and the indigenous Aztecs, the collapse of the latter’s complex imperial state stretched across most of northern and central Mexico, and the virtual genocide of the native population. The animosity between Europeans and Amerindians persists throughout Mexican history and into modernity, as ethnic conflict overlaps with environmental conflict in a 500-year battle over the region’s natural resources. Today, biodiversity replaces gold as the primary object of affection in Mexico, yet the fundamental struggle over natural resources continues to drive a violent wedge through contemporary Mexican society. Europe’s encounter with and treatment of the world’s tribal peoples is an immense theme, sprawling over five centuries and across all the inhabited continents. It is a tale of extraordinary human achievement in adversity, conferring on the victors the possession of much of the world’s physical resources, and a tragedy of staggering proportions, involving the deaths of many millions of victims and the complete extinction of numerous distinct peoples. When viewed as a single process, the European consumption of tribal society could be said to represent the greatest, most persistent act of human destructiveness ever recorded. In political terms, conflict refers to an ongoing state of hostility between two groups of people, oftentimes, though not always, involving violence. When considering the roles of ethnicity and the environment in the context of such conflict, we develop the concept of ethno-environmental conflict. Ethno-environmental conflict refers to the influences of limited natural resources on violent and non-violent political disputes between different ethnic (both racial and cultural) groups and, conversely and cyclically, the influences of such conflict variables on the preservation or degradation of the environment and subsequent consequences affecting humanity. Understanding ethno-environmental conflict in historical and contemporary Mexico requires a multi-step analysis in three parts. First, we will examine the environment aspects of the study centered on the historical gold and contemporary biodiversity resources of the region. Second, we will examine the conflict aspects centered on sixteenth century mercantilism and colonialism as well as modern-day international bio-markets, capitalism and neocolonialism. Finally, we will examine the overlaps of environment and conflict and their manifestations in specific ethno-violent events in Mexico. From ancient Aztec gold to the contemporary "green-gold" of Mexico’s southern states, from mercantilism to today’s global economy, and from the Siege of Tenochtitlán to the Acteal Massacre, ethno-environmental conflict is an enduring mainstay of the Mexican chronicle. Duration: 100 to 1,000 Years: From 1519 to the Present. With today’s mass media raising awareness around the world about Mexico’s contemporary ethno-environmental conflict, as we will discover in the sections below "it is wrong to speak of the conflicts of interest between indigenous groups and commercial interests as the new frontier, because they constitute one of the oldest frontiers." 4 The European-Amerindian struggle over natural resources began with the arrival of Spanish gold-lust on the American continent in 1519 and continues into the present over the riches of Mexico’s biodiverse ecosystems. The location of our specific historical study is centered upon the Aztec city of Tenochtitlán (modern-day Mexico City) in Central Mexico. The location of our specific contemporary study is centered upon Southern and Central Mexico, particularly the Mexican states of Chiapas, Oaxaca, Tabasco and Michoacán. The United States Central Intelligence Agency locates Mexico in "Middle America, bordering the Caribbean Sea and the Gulf of Mexico, between Belize and the United States and bordering the North Pacific Ocean, between Guatemala and the United States." 5 Chiapas is a state in the southeast of Mexico bordered by the states of Tabasco to the north, Veracruz to the northwest, and Oaxaca to the west. To the east, Chiapas borders Guatemala, and to the south the Pacific Ocean. Oaxaca is a state in the southern part of Mexico, west of the Isthmus of Tehuantepec. Oaxaca borders the states of Guerrero to the west, Puebla to the northwest, Veracruz to the north, and Chiapas to the east. To the south Oaxaca fronts the Pacific Ocean. Tabasco is bordered by the Mexican states of Veracruz to the west, Chiapas to the south, and Campeche to the northeast. To the east, Tabasco borders with the Péten department of Guatemala, and to the north is the Gulf of Mexico. Tabasco is in the northern half of the Isthmus of Tehuantepec. Michoacán is a state in south-central Mexico bordered by the states of Colima and Jalisco to the west, Guanajuato and Querétaro to the north, México to the east, Guerrero to the southeast, and the Pacific Ocean to the south. In our historical analysis, the primary actors on the Spanish side of the ethno-environmental conflict include Hernán Cortés (a.k.a. Hernándo, Fernándo, Fernán) and his entourage of fellow conquistadores and their sympathizers, including Doña Marina ("La Malinche"), the Totonac Amerindians, the Tlaxcalan Amerindians, and other indigenous members of the Spanish-Native Confederacy. 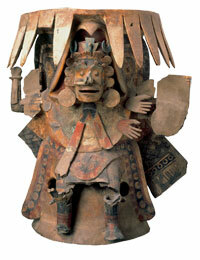 The primary actors on the Aztec side include the Aztec leader Montezuma (a.k.a. Moctezuma, Motecuhzoma) and the Aztec Amerindians (a.k.a. Toltecs, Mexicas, Tenochca). In our contemporary analysis, the primary actors on the Indigenous side of the ethno-environmental conflict include the various tribes of Mexican-Amerindians comprising 56 distinct peoples, 81 languages, and over 10 million individuals. 7 The primary actors on the Non-Indigenous side include the Mexican government, particularly the Ernesto Zedillo and Vicente Fox Quesada Administrations, multinational corporations (hereinafter, "MNCs"), and other biopirating entities including bioprospecting corporations and other empowering "front" organizations (i.e., a variety of seemingly innocuous research and environmental organizations financed by MNCs). Environment Aspects: From Gold to "Green Gold"
In modern times, biodiversity ("green-gold") has replaced gold as the international strategic resource of choice. Biodiversity is a measure of the relative diversity among organisms present in different ecosystems, including diversity within species and among species, and comparative diversity among ecosystems. The 1992 United Nations Earth Summit in Rio de Janeiro defined biodiversity as "the variability among living organisms from all sources, including, inter alia, terrestrial, marine, and other aquatic ecosystems, and the ecological complexes of which they are part: this includes diversity within species, between species, and of ecosystems." This is also the definition adopted by the United Nations Convention on Biological Diversity. 11 The simplest conceptualization envisions biodiversity as a reservoir of natural resources that can be drawn upon for the extraordinarily lucrative manufacture of food, pharmaceutical, cosmetic, biotechnology, veterinary science, seed, and agrochemical products. 12 This concept is the origin of modern economic and geopolitical interests in biorich ecosystems throughout the world. In sum, gold and green-gold comprise the "environment aspect" of our analysis of ethno-environmental conflict in Mexico. They are rare natural resources of high commercial value that are the objects of competitive lust in respective historical and contemporary contexts. As we shall discover in the "Conflict Aspects" section below, these resources gain their constructed value through the respective international economic systems in which they are placed, becoming therein the underlying forces of ethno-violence in old and new Mexico. Source problems, sink problems and global problems comprise the three classifications of environmental problems most commonly used in ethno-environmental conflict analysis. Source problems include such subcategories as habitat loss, deforestation, coral loss, biodiversity loss, the loss of species on land, in the air and in the sea, and the emission of harmful radio waves. Sink problems include human health problems and cultural loss, various types of pollution of land, air and sea, and issues of waste. Finally, global problems include such issues as global warming and ozone loss, problems which affect all peoples around the world on a collective level. Based on the information that follows in the "Environment and Conflict Overlap" section, the environmental problem classifications most apt to the Spanish Conquest are the human health and cultural loss sink problem subcategories. The environmental effects of the sixteenth century Spanish presence in Mexico largely center upon the human diseases brought from the Old World, against which the Aztecs had no biological resistance. Measles, smallpox and mumps reduced the indigenous population of New Spain from over 1.5 million in 1519 to only 325,000 in 1570. In addition, the pure-blood element among those descended from these survivors largely disappeared as the conquerors took Aztec wives and mistresses. In time, they peopled New Spain with a majority of half-breed mestizos who today account for 60 percent of Mexicans. In modern times, science and communications technologies have given us greater insights into the environmental degradation effects of contemporary biopiracy activities. These effects involve the source problems of unregulated industrial logging, natural resource extraction (through petroleum drilling and hydroelectric power generation), and the commercial exploitation of endangered species, as well as the sink problems of carbon-dioxide emissions, desertification, and genetic contamination (through the use of genetically modified organisms). An examination of the conflict aspects of ethno-environmental issues in Mexico requires an overview of the negative social effects inherent to two distinct and time-specific systems of international economics. In the sixteenth century, mercantilism was the driving force behind European expansionism and colonialism; in modern times, neoliberalism has replaced mercantilism as a more sophisticated system of international economic dominance and exploitation, a practice pejoratively referred to as neocolonialism. Together, these systems comprise the empowering platforms upon which gold and green-gold produce ethno-environmental conflict in historical and contemporary Mexico. In sum, mercantilism and neoliberalism comprise the "conflict aspect" of our analysis of ethno-environmental conflict in Mexico. They are international economic systems that create high values for and competitive lust over select natural resources in historical and contemporary Mexico. In the late eighteenth century, mercantilism began to lose out to more sophisticated economic theories as, in part, Adam Smith (Wealth of Nations) and economists after him pointed out that the mercantilists' push for gold had turned social priorities upside down (thereby negatively affecting a nation’s overall economic well-being), 18 fueling barbaric international conquests and the exploitation of indigenous groups around the world. In the contemporary world, neoliberalism remains in practice and is the origin of conflicts between indigenous groups and MNCs over accessibility to and ownership over resources in the bio-rich ecosystems of southern Mexico. As we shall discover in the "Environment and Conflict Overlap" section below, through an examination of specific conflict events, the overlapping of gold and green-gold with these institutional variables of conflict have produced violent clashes between ethnic groups in search of the empowering wealth that control over these resources provides. The historical foundation of Aztec gold as a mechanism of ethno-environmental conflict comes to the fore with the arrival of Hernán Cortés on Mexican shores in 1519, with 550 men and 16 horses in tow. Cortés clearly recognized the commercial and political value of American gold in the European mercantilist system as historians inform us that his conquista was "mainly aimed at the discovery of gold and other natural resources." 21 Cortés sailed from Cuba (where he had lived for eight years 22) to Veracruz with the sole purpose of gold extraction, having watched his seafaring forbears - Francisco Hernández de Córdoba and Juan de Grijalva - return to Spain from Cuba with relatively small amounts of gold valued at 16,000 pesos 23 and tales of vast amounts rumored to lie deep in the heart of Mexico. In Veracruz, Cortés discovered very little gold but acquired there another invaluable "resource" in the form of a translator named Doña Marina (sometimes referred to as "La Malinche") who through her trilingualism in Maya, Nahuatl and a dialect of Nahuatl spoken only to and in front of the Aztec Emperor, facilitated Cortés throughout his campaign. The tragic irony to the gold-thirsty Spanish missions to the New World is that prior to their arrival gold was not particularly precious to the Amerindians. 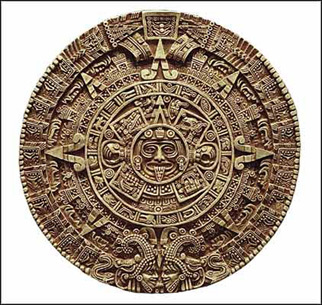 The Aztecs had no metallic currency and used gold and silver only for ceremonial and personal decoration. 23a In fact, due to an over-abundance of gold, the Aztecs referred to it as "the excrement of the gods," 24 eagerly trading their substantial supplies of the "excrement" in the feathers and turquoise markets. This is perhaps humorously telling as to why the Aztec leader Montezuma first offered the Spaniards gold in an attempt to get them to leave his land, rather than the feather and turquoise commodities that carried higher Aztec market value. However, Montezuma was not aware of the European mercantilist system that bestowed upon gold more value than any other natural resource. Rather than invoking a retreat from Mexico, the gifts of gold only served to whet the Spanish appetite for extreme wealth. In these circumstances, the exploitation of native labor was inevitable, both on the land and in the gold mines, which under the Spaniards were worked as never before. Even worse was the biological effect of the Spanish presence. The Aztecs died in droves from European diseases to which they had no resistance, a form of collateral slaughter repeated all over Spanish America. In New Spain, measles, smallpox and mumps proved to be mass killers. 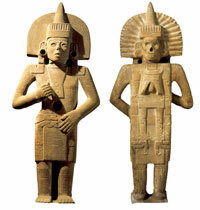 Overall, by 1570 the native population had been reduced from over 1.5 million to only 325,000. In addition, the pure-blood element among those descended from these survivors largely disappeared as the conquerors took Aztec wives and mistresses. In time, they peopled New Spain with a majority of half-breed mestizos who today account for 60 percent of Mexicans. 33 Through all this, and throughout Mexico’s subsequent political stages of independence, republicanism, a virtual 75-year PRI dictatorship, and current neo-liberalist globalization, Mexico’s indigenous populations have struggled to regain any meaningful control over, and at times even necessary access to, the country’s land and natural resources. Some 500 years ago, a Spanish priest, Fray Bartolome de las Casas, documented horrible human rights abuses, murders, enslavement and tortures perpetrated by the colonizers. Today, human rights activists - including some from the eponymous Fray Bartolome Center - work to document continuing abuses perpetrated against indigenous people and leaders fighting for self-determination and freedom from crushing poverty. These include death threats, displacemtns, NGO-documented accusations of torture, and the Acteal Massacre. 50 Armed conflict in the post-Cold War period is increasingly characterized by a specific political ecology closely linked to the geography and political economy of natural resources. 51 What gold remains in Mexico continues to be extracted by foreign powers, and bio-piracy in Chiapas, Oaxaca, Tabasco, Michoacán, and other states continues to drive ethno-environmental conflict in Mexico. The Zapatista/EZLN uprising in January of 1994 brought the struggle for indigenous autonomy to the forefront of the national agenda. A ceasefire initiated on January 12, 1994 has been formally upheld, despite outbreaks of paramilitary violence, the worst of which was the Acteal Massacre in 1997. The federal Mexican government agreed to include demands for indigenous rights in the peace talks held in San Andrés Larrainzar. The EZLN invited over 200 members of civil society to participate as advisers in the talks, including representatives from the National Indigenous Congress (CNI) (an umbrella organization of indigenous organizations that has become the most representative national organization of indigenous peoples in the country). Following difficult negotiations, the Accords on Indigenous Rights and Culture were signed by the government and the EZLN. A multi-partisan Congressional commission subsequently translated the pact into a legal initiative in 1996. However, then-president Ernesto Zedillo blocked the initiative and proposed major modifications. In 2001, current Mexican President Vicente Fox Quesada sent the original initiative to Congress and in April of that year, following a major EZLN/CNI march to Mexico City, the three major political parties (PRI, PAN and PRD) passed a watered-down version of the law in the Senate and House of Deputies. Passage of the original initiative and implementation of the San Andrés Accords was a prerequisite for resuming peace talks, which have been stalled since 1996. The other conditions are withdrawal of military bases in rebel zones in Chiapas, and the liberation of Zapatista political prisoners. These demands have been only partly met by the Fox Administration. Most observers also believe that a clear commitment to end the violence of paramilitary groups in Chiapas is necessary. Paramilitary attacks have claimed hundreds of lives, including the massacre of 45 men, women, and children at Acteal. The Constitutional reform passed by Congress seriously curtails indigenous autonomy as defined in the San Andrés Accords. Self-government is restricted to the village level and traditional normative systems must be validated by the respective state government and court system. In the crucial area of access to and control over decisions on land and natural resource use in Amerindian territories, the new law reduced collective rights to a vague reference to "preferential use." Indigenous groups argue that the modifications not only do not comply with the minimum required to reinitiate peace talks in Chiapas, but also fail to assure the rights recognized in Convention 169 of the International Labor Organization, signed into law by the Mexican government. Scores of indigenous communities have since challenged the Constitutional reform in the courts. Recognizing the potential state of perpetuation such stalemates and cyclical conflicts produce, Zapatista leader Comandante Cero (f.k.a. Subcomandante Marcos) has recently launched a six-month public awareness tour of Mexico’s 31 states, embarking on the campaign on a black motorcycle, reminiscent of Che Guevera's consciousness-awakening tour of South America in the 1950s. With its timing, the Zapatista tour, dubbed the "Other Campaign," became part of a wider current struggle of the 60 million Amerindians in Latin America, catapulted by the sweeping reforms of Venezuelan President Hugo Chavez and the election of Evo Morales in Bolivia. In Mexico, the home of 13 million Amerindians, the Other Campaign coincides with the imminent 2006 presidential campaign. While Cero-Marcos promises to form a new national leftist movement in support of Mexico's indigenous, Mexican President Vicente Fox Quesada launched his own weeklong tour of Amerindian communities. 54 As it always is in Mexico, the battle is on. Three searches were conducted using the Inventory of Conflict and Environment (hereinafter, "ICE") Database Engine in an attempt to locate similar case studies that may provide useful insights and relevant outside sources for this project. The first ICE Database Engine search, centered on the free-text search term "gold," yielded only four results in the abstracts (actually six: two of the abstracts' links found no matches to their full reports), all of which yielded relevancy scores at 100 percent. These cases involve subject matter related to the environmental consequences of gold mining in the Amazon as it relates to the Yanomami indigenous population living in portions of Brazil and Venezuela; the exploitation of certain regions of Papua New Guinea by MNCs in search of gold and the environmental and public health side-effects of mining upon local residents in the region; gold mining in the Guyana region of southern Venezuela and its detrimental effects on the region’s unique biodiversity, as well as the native rights to a clean environment and portions of the profits from extracted gold; and, lastly, the amphetamine trade between Burma and Thailand. The second search, centered on the combined search fields of "Country: Mexico" and "Environmental Problem: Rights" yielded 11 pages of results, only three of which did not yield relevancy scores of 83 percent (92 percent in the case of each of the three). A change to the importance weighting for the two search fields yielded little noticeable change in results. The three top relevancy cases are all centered in Mexico, the top two of which relate to the Zapatista uprising in the Chiapas region. The third most relevant case is a treatment of the Mayans. These results appear to indicate the strong correlation between this case study and those that specifically treat the Chiapas conflict. The third search, centered on the combined search fields of "Continent: North America," "Region: Southern North America," "Country: Mexico," "Environmental Problem: Rights," "Scope: Substate and NGO," "Trigger: Resources," and "Outcome: In Progress," also yielded 11 pages of results, but with wider varying relevance frequencies than those yielded by the second search. The search result records towards the top tiers from both searches two and three revolve around the indigenous and their access rights to the natural resources of their native lands. Qualitatively, the most relevant search result is the Guyana case study entitled "Gold and Native Rights in the Guyana region of Venezuela." Other cases that appear to provide the most relevance to this project are those that center on the Zapatista struggle in Mexico. 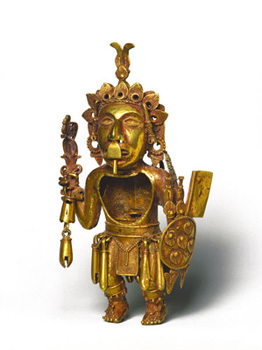 Together, the Guyana study, at 100 percent relevancy, and the Chiapas studies, each at 92 percent in search two and at 58 percent and 83 percent respectively in search three, form a solid basis for comparative analysis as we progress through the above stages of "Cortés and Aztec Gold: Initial Conflict and Modern Political Ecology." Reed, Colleen. "Gold and Native Rights in the Guyana region of Venezuela." ICE Case Studies, Number 55, November 1997. Marx, Amanda. "Chiapas Civil War and Environment." ICE Case Studies, Number 13, May 1997. Willis, Andrew. "Land, Biodiversity, and Exploitation in the Conflict Zone of Chiapas, Mexico." ICE Case Studies, Number 157, August 2005. All images are in the public domain, or their unrestricted use has been granted by the copyright holder. Berler, Beatrice. The Conquest of Mexico. San Antonio: Corona Publishing, 1988. Brown, Dale M., ed. Aztecs: Reign of Blood & Splendor. Alexandria: Time-Life Books, 1992. Carlsen, Laura. "Self Determination Regional Profile - Mexico." Foreign Policy in Focus (October 2001). Cocker, Mark. Rivers of Blood, Rivers of Gold. New York: Grove Press, 1998. Cortés, Hernan. Letters from Mexico. Translated by Anthony Pagden. New Haven: Yale University Press, 1987. Díaz del Castillo, Bernal. The Conquest of New Spain. London: Penguin Books, 1963. Global Exchange. "Biopiracy: A New Threat to Indigenous Rights and Culture in Mexico." Programs in the Americas Series (December 2004). Gónzales, Mónica. "Ethnic Minorities in Mexico, United States and Canada: A Comparative Study of Coexistence." Diálogos Latinoamericanos, 005 (2002), pp. 1-23. Guggenheim Museum. 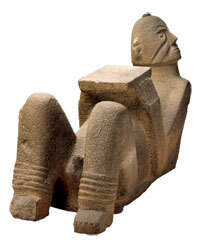 "The Aztec Empire: Noble Life and Everyday Life." Arts Curriculum Online. Hayden, Cori. When Nature Goes Public: The Making and Unmaking of Bioprospecting in Mexico. Princeton: Princeton University Press, 2003.
International Forum on Globalization. "Indigenous Peoples and Globalization Program." Le Billon, Philippe. "The political ecology of war: natural resources and armed conflicts." Political Geography, 20 (2001), pp. 561-584. Leon-Portilla, Miguel, ed. 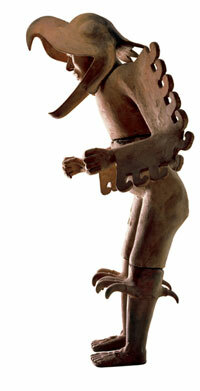 The Broken Spears: The Aztec Account of the Conquest of Mexico. Boston: Beacon Press, 1992. Martinez-Alier, Juan. The Environmentalism of the Poor: A Study of Ecological Conflicts and Valuation. Northampton: Edward Elgar Publishing, 2002. Montes, Adelfo Regino. “Constitutional Denial - Mexico’s Legislative Deception on Indigenous People.” La Jornada, 28 April 2001. New Advent Catholic Encyclopedia. "Aztecs." No Dirty Gold. "Don't Tarnish Your Love With Dirty Gold!" CorpWatch (February 2004). Norrell, Brenda. "Zapatistas tour cements shift for indigenous rights." Indian Country Today, 9 January 2006. Phillips, George Brinton. 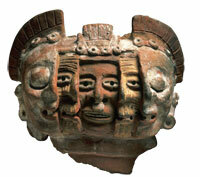 “The Metal Industry of the Aztecs.” American Anthropologist, New Series, Vol. 27, No. 4 (October - December 1925), pp. 550-557. Pugel, Thomas A. International Economics. New York: McGraw-Hill, 2004. Ralph Lewis, Brenda. The Aztecs. Guernsey: Sutton Publishing, 1999. Replogle, Jill. "Mining Boom: Who wins? Who loses?" Latin America Press, 27 January 2005. Ross, John. The Annexation of Mexico: From the Aztecs to the I.M.F. Monroe: Common Courage Press, 1988. Schabus, Nicole. "No Power to International Free Trade With Indigenous Property." Journal für Entwicklungspolitik (Journal for Development Policy) XVIII/2 (2002). Schmal, John P. "The Indigenous People of Central Mexico." Houston Institute for Culture Educational Project (2003). Steinbach, John, Phillip Wheaton, and Milton Shapiro. "Access of Evil: Genocide in Chiapas." CovertAction Quarterly (Fall 2004). Thomas, Hugh. Conquest: Cortés, Montezuma, and the Fall of Old Mexico. New York: Simon & Schuster, Inc., 1993. Tilly, Chris. "Indigenous Land Struggles in Michoacán, Mexico: 'We've fought for the land since time immemorial.'" PeaceWork Report (July/August 2004). United States Central Intelligence Agency. World Factbook 2005: Mexico. Washington, DC: Central Intelligence Agency, 2005. United States Department of State. Country Reports on Human Rights Practices 2004: Mexico. Washington, DC: Department of State, 2005. Zinn, Ryan. "The Lacandon Jungle's Last Stand Against Corporate Globalization: Plan Puebla Panama and the fight to preserve biodiversity and indigenous rights in Chiapas." CorpWatch (September 2002). Zwarenstein, Carlyn. “Letter from Chiapas: Decolonization and indigenous struggle.” Canadian Business and Current Affairs (2002). 1. Cocker, Mark. Rivers of Blood, Rivers of Gold. New York: Grove Press, 1998, p. 32. 2. Schmal, John P. "The Indigenous People of Central Mexico." Houston Institute for Culture Educational Project (2003). 3. Brown, Dale M., ed. Aztecs: Reign of Blood & Splendor. Alexandria: Time-Life Books, 1992, p. 9. 4. Schabus, Nicole. "No Power to International Free Trade With Indigenous Property." Journal für Entwicklungspolitik (Journal for Development Policy) XVIII/2 (2002), p. 100. 5. United States Central Intelligence Agency. World Factbook 2005: Mexico. Washington, DC: Central Intelligence Agency, 2005. 7. Carlsen, Laura. "Self Determination Regional Profile - Mexico." Foreign Policy in Focus (October 2001). 12. Global Exchange. "Biopiracy: A New Threat to Indigenous Rights and Culture in Mexico." Programs in the Americas Series (December 2004). 15. Pugel, Thomas A. International Economics. New York: McGraw-Hill, 2004, p. 37. 23a. New Advent Catholic Encyclopedia. "Aztecs." 24. Guggenheim Museum. 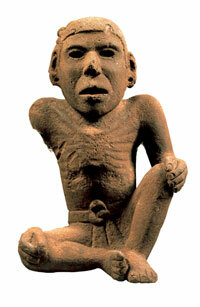 "The Aztec Empire: Noble Life and Everyday Life." Arts Curriculum Online. 28. Wikipedia. "Siege of Tenochtitlan." 32. Ralph Lewis, Brenda. The Aztecs. Guernsey: Sutton Publishing, 1999, pp. 87-91. 35. Zinn, Ryan. "The Lacandon Jungle's Last Stand Against Corporate Globalization: Plan Puebla Panama and the fight to preserve biodiversity and indigenous rights in Chiapas." CorpWatch (September 2002). 37. Steinbach, John, Phillip Wheaton, and Milton Shapiro. "Access of Evil: Genocide in Chiapas." CovertAction Quarterly (Fall 2004). 39. No Dirty Gold. "Don't Tarnish Your Love With Dirty Gold!" CorpWatch (February 2004). 42. Gónzales, Mónica. "Ethnic Minorities in Mexico, United States and Canada: A Comparative Study of Coexistence." Diálogos Latinoamericanos, 005 (2002), pp. 1-23. 43. Tilly, Chris. "Indigenous Land Struggles in Michoacán, Mexico: 'We've fought for the land since time immemorial.'" PeaceWork Report (July/August 2004). 47. United States Department of State. Country Reports on Human Rights Practices 2004: Mexico. Washington, DC: Department of State, 2005. 48. Montes, Adelfo Regino. “Constitutional Denial - Mexico’s Legislative Deception on Indigenous People.” La Jornada, 28 April 2001. 50. Zwarenstein, Carlyn. “Letter from Chiapas: Decolonization and indigenous struggle.” Canadian Business and Current Affairs (2002). 51. Le Billon, Philippe. "The political ecology of war: natural resources and armed conflicts." Political Geography, 20 (2001), pp. 561-584. 52. Carlsen, Laura. "Self Determination Regional Profile - Mexico." Foreign Policy in Focus (October 2001). 54. Norrell, Brenda. "Zapatistas tour cements shift for indigenous rights." Indian Country Today, 9 January 2006.